Quality Air Heating and Air Conditioning > Articles > Indoor Air Quality > Does Your Home Have a Dehumidifier? Does Your Home Have a Dehumidifier? With the temperatures getting higher every day here in central Ohio, homeowners are rightfully paying a lot of attention to their air conditioners. 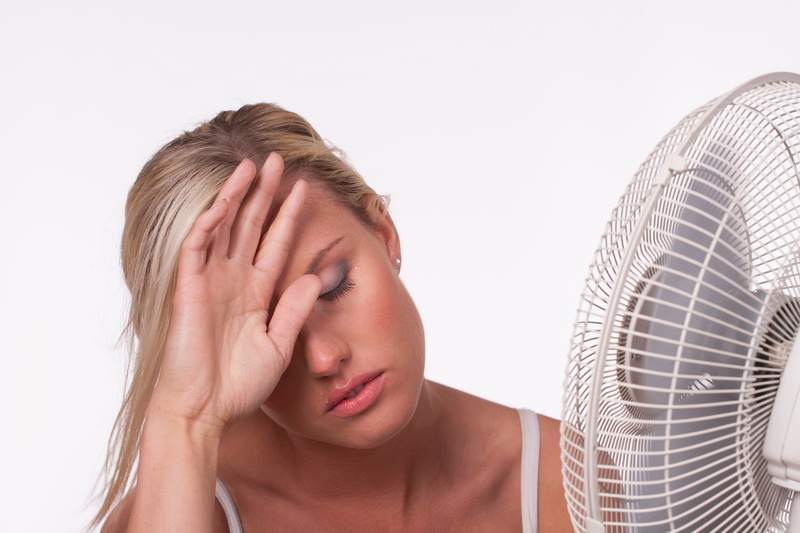 Summer heat waves demand a serious response, and air conditioners are essential to keep your home comfortable (and safe in many cases). But temperature is not the only factor in making your home feel uncomfortable. High humidity levels can be just as harmful and destructive, and while air conditioners can handle some of that by default, they’re not set up for such duties. A whole-house dehumidifier makes a much better option for dealing with the issue, and when installed by professionals, it can make a huge difference in your home for many years to come. Here’s a breakdown of how it works. High humidity fosters the growth of mold and bacteria in your home, which is bad enough. But the biggest issue concerns our own bodies. We keep cool naturally by sweating, but more specifically by the sweat evaporating off of our skin in a breeze. When relative humidity levels are too high, however, there’s too much ambient moisture in the air for that to happen. The sweat stays on our skin – leaving us feeling clammy and gross – and our bodies don’t cool off. That makes the air feel warmer than it is, which is bad enough when the mercury climbs towards 100 degrees. They can’t reduce humidity levels to suit individual needs and tastes, which incompletely addresses the problems. They need to spend more energy to do it, raising both your monthly bills and the possibility of more serious breakdowns. Their drain system can’t always handle the excess humidity, especially during particularly muggy days. Whole-house dehumidifiers work in a manner similar to air conditioners, but tailors more to the task at hand. There’s no need to eject excess heat since cooling the air isn’t the issue, and the system allows for more precise manipulation of your home’s humidity levels. In the first place, this allows you to maintain a more comfortable home by setting humidity levels to taste, as well as cutting down on the growth of mold and bacteria in your home’s corners. More importantly, however, it eases the strain on your air conditioning system. Not only can that lower your summer air conditioning bills, but it can help extend the life of the unit as a whole. And now is an ideal time to schedule a dehumidifier installation, since the heat of the summer has not yet hit us. If you would like a whole-house dehumidifier installed in your Columbus, OH home, call the experts at Quality Air Heating and Air Conditioning to discuss your options.